It starts out as a lovely little film about education, about two kids who play truant and ends up being this awful kindling to enflame religious passions during election year. Quality education is the right of all kids. But all kids in India don’t get that. At times, there are economic factors and other times, which happens more often than we think, there are social factors that deprive kids from getting proper education. 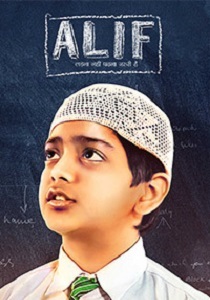 Alif is a film that tries to address that fact.